In this guide, among other objectives, I want to show how you can discover, demonstrate and effect how people are a fundamental cause and condition of long-term business success. In this way we and others may realize that the people perspective of the business is not necessarily based in “soft stuff”, “political correctness” and administrative minutia, but profound business insights that arise in conjunction with observation and reason. Basically there are two types of insight: that which is not based on any special observable reason and that which is backed by observable reason. In the case of the second type of view, and individual is motivated to examine an insight and investigates its relevance to his or her situation, needs and requirements. Actions are applied after seeing the reason why this insight is advantageous. Change with people, new action, is motivated by new insight. Some of you who are reading this have worked in or with teams called People Analytics, HR Analytics, Talent Analytics, Workforce Analytics, HR Decision Support or Organization Behavior and have certain preconceived notions of what that is and how it should operate. However, the writing I shall employ here is primarily oriented to those who currently have no preconceived view on how People Analytics should operate. Temporarily, I ask you to set any preconceived views to the side. New and different decisions and actions are a natural consequences of new and different insights. Some of you who are reading this also have certain preconceived notions of what Analytics is. To one this may mean the application reporting technology, to another the application of data science, to another something else entirely. Often these views inform our thinking about where in the organization this should sit and how it should be staffed. Temporarily, I ask you to set all these views to the side as well. New and different decisions and actions are a natural consequences of new and different insights. So precisely what is People Analytics? My definition : "People Analytics is the systematic application of statistics and behavioral science to Human Resource Management to achieve probability derived business advantages." The business leader who wants to realize the full potential of an organization quickly should make deliberate effort to provide for its conditions quickly. As such I propose People Analytics as a method for quickly understanding conditions of success in pursuing objectives through an organization of people. Consequently, the method is designed for this purpose and probably will not apply directly to other spaces. Along these lines, methods developed for Finance, Marketing or any context do not apply directly to People Analytics. Elements from other disciplines may be adapted usefully and some ideas partner nicely, but these spaces are defined by completely different problems. The recognition that a unique framework is necessary for quickly understanding conditions of success in pursuing objectives through an organization of people is the rationale for this book. You are not going to find this same information in a Finance or Marketing book nor are you going to find the same information in this book as those books. This book should provide a new way of thinking about how an organization works and the means to obtain insights to transform or release the inherent potential of an organization (or avoidance of its ultimate destruction). The goal is two fold : perfection of working for the benefit of stakeholders in an organization (business impact) and the perfection of one’s specific purposes (varied). The causes that lead to the fulfillment of these goals are: method and learning. These two qualities produce the ability to see reality through new eyes and the ability to learn from it. The methods for generating insights and the learning realizing insights stems from a system theory based view of the organization with an appreciation for the probabilistic nature of the universe (as opposed to a purely deterministic view). This book is intended to provide a clear exposition of how to apply these objectives via a method I refer to as People Analytics. To the extent that my definition of People Analytics and others diverge, for lack of a better current differentiating descriptor, you may refer to my version as the “SMAAQ (pronounced Smack!) System of People Analytics.” Yes, each of the letters in SMAAQ stand for something, which I will get into in later chapters. For now, a way to think about this is that if you are doing People Analytics right the insights produced should SMACK!, that is they should be startling (sometimes painful) so as to command the attention of others. If you have done it right, when you present your findings there should be no mystery in the benefit. If it is vague as to whether or not any benefit has been achieved by this exercise, you have done something wrong. Start over. When you take a close look at People Analytics analysis, which informs this premise, we come to understand that People Analytics provides a new way of thinking about organizations, which makes no distinction between the organization and the employees of which that organization is composed. Borrowing from the language used in Buddhist philosophy, I call this "the ultimate nature of organizations”. The ultimate nature of organizations is learned and put into practice in the context of a particular business. Before you embark into any important new activity, it is essential that you apply techniques for identifying if this is the best use of resources right now. For leaders who want to replicate the success of other great organizations, their insights, applied as “best practices” are not enough. Application of “best practices” should be backed by investigation. When you make decisions, if you wish to circumnavigate the pitfalls of bias and the natural propensity for error in decisions you must follow a method. In fact, if you wish to reach any new level of learning you are by definition circumnavigate your unknown biases, so method should be given a primary importance. This book proposes a method of investigation that is designed for practicality; this being useful to circumnavigate serious error, however somewhat less rigorous than that required for publication in a peer reviewed scientific journal. While college professors will protest, this should not alarm you because our goals are different. You are balancing the need to make informed progress in a single context versus the requirements to assert permanent truths that will form the basis for teaching or to serve as a foundation for others research. Another difference is time. University researchers have much more time to work out their ideas than you have in organizations - you must deploy methods that are much quicker or you will run out of time. In People Analytics, in general, and in this particular SMAAQ system, we examine the contents of the insights from previous research and accept those that fit our criteria and reject those that do not fit our criteria or that are not consistent with reality in a specific context. As such there are occasions when prior insights should not be taken unverified, but need validation. Research findings or insights that can no longer be replicated in a given environment or for which no observable basis can be identified should not be taken as facts, but interpreted as a basis of a new hypothesis that may explain the different finding. However, if we search for more research to do with each conflicting finding we might fall into an analysis of infinite regress, which we colloquially refer to as "Analysis Paralysis". If it sounds like an abyss, that is because it is. Obviously, that is a place we don't want to be for very long. A pillar of science is that if a scientific experiment reveals an insight that insight should be repeatable by other researchers in other contexts. Therefore, we can see that in using prior research, or research conducted by others in other contexts, validating research in the current context has a very important place. This is an argument to develop capability in each organization for People Analytics – we cannot just blindly apply the findings in academic journals or the reported practices of other organizations. However, we also cannot apply analysis infinitely prior to taking action. We must determine when enough confidence has been reached to move forward with a level of analytical confidence balanced against the inherent risks of each the decision. In general, within this corporate context, I advocate for a practical mindset. We must determine when enough confidence has been reached to move forward based on the inherent risks of each decision. If we have done it right we will rename nimble through a systematic process of analysis that de-risks decisions and actions, as we go. Let me begin by explaining what we mean by business impact. The description of the probable business impact of an analysis must arise within the context of your own organization and situation. It is not something anyone can assert universally or from the outside, even though we talk about how important it is. When the positive qualities of your organization increase and the negative decrease, that is what I mean by business impact. Analysis of particular problem for you may have great impact on your business, but very little for another. The business impact of an analysis is rooted in its ability to solve for a constraint to release the latent potential in an organization. The real value of business impact (some might refer to this as ROI) is partially a function of the amount of latent potential and partially a function of the constraint being solved for. For this reason, at the start of a project we put great priority on determining the best focus of an analysis to transform an organization or otherwise release latent potential. That is typically found in the most important constraint at a particular time. However, once solved, the constraint will move elsewhere. Do not be demoralized by this - business impact is received as the organizations virtuous attributes gain strength and its defective characteristics weaken or deteriorate. By this logic the value of business impact of a people change can be simultaneously both infinitely small and infinitely big - chew on that thought. This book primarily deals with the methods of applying People Analytics to determine the best path forward, quickly, rather than an elaborate manual of the nuances of research methods and statistical techniques. It is not that one or the other is more valuable for improving the application of People Analytics. Nevertheless, there can definitely be different levels of emphasis. Certain books are primarily suited for determining the focus of analysis, and other books that are intended for a detailed exposition of database techniques, statistical procedures, survey design, econometrics, organization behavior, research methods and so on. I have no illusions that the latter could be taught within the covers of this book, that I am the appropriate author, or that you are all the appropriate audience for this - so if you are in need of these detailed subject matter those needs will need to be sourced elsewhere. The book describes how an analytical process can be developed in the mind space of an enterprise in a proper sequence, not in a scattered piecemeal fashion. 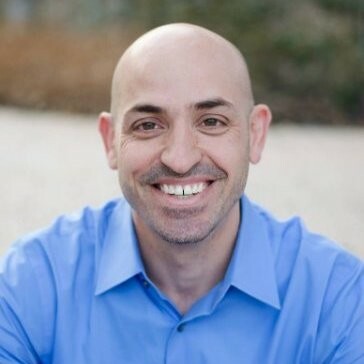 Mike has 15 years of experience building People Analytics from the ground up as an employee at the founding of MerckHR Decision Support, PetSmart Talent Analytics, Google People Analytics, Children's Medical (Dallas) HR Analytics, and PeopleAnalyst - the first People Analytics design firm - working with Jawbone, Otsuka and several People Analytics technology startups. Mike is currently the VP of Product Strategy for One Model -the first cloud data warehouse platform designed for People Analytics.